See The Potato Allergy Family in Action Across the USA! The Treitlers frequently make guest appearances across the country where they speak about their personal experiences with addiction and how their books can help future generations avoid addiction altogether. Check out some of their appearances below! On April 6th, Lianna Treitler joined “Good Morning San Diego” where she shared her story on what motivated her to write her own book that guides young people in avoiding addiction. Watch the interview by clicking here! Watch as Marc and Lianna were special guests on America Trends with host Aimee Fuller. The group covers topics like talking to your kids about substance abuse, the impact of addiction on both parents and children, and how Potato Allergy’s books can help young teenagers who are facing the dilemma. 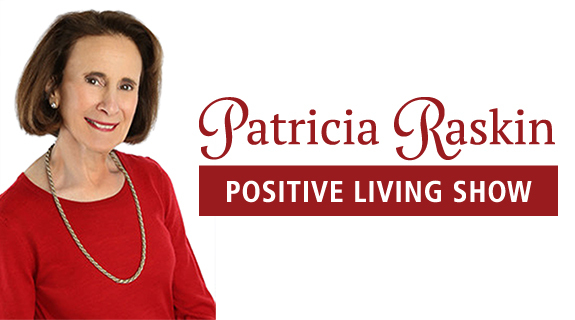 On Monday, Oct. 22 Marc Treitler chatted with Patricia Raskin during her positive living show on VoiceAmerica.com. Marc discussed substance abuse and how to talk about peer pressure with your children. Click “Play” on the video player to listen! Detroit Lions offensive lineman, Kenny Wiggins, joined Potato Talk where he discussed his family history of addiction and how staying drug free has helped his NFL career. Listen to "Marc Treitler and Lianna Treitler stop by #ConversationsLIVE" on Spreaker. Marc and Lianna talk about their book on the top rated morning show in San Diego in 2017. The Treitlers talk with FOX 5 in San Diego on February 23, 2017. Lianna and Marc make a splash on the Bay at San Francisco’s top morning news show in 2017. Marc on the new and exciting UBN program, Lost and Profound. > Click here to listen to Marc discuss his book and his personal experience with alcoholism in a powerful radio interview with WOCA 1370AM Ocala, Florida. > Click here to listen to Marc discuss his book on KTIP Radio in California on Body Talk. > Listen to one of two segments of Quantum Leap on UPRN where Marc discussed his book for audiences in Hawaii and Los Angeles. October 2016. > Listen to Marc discussing the book and movement with the dynamic Cyrus Webb on WMPR-FM Jackson, MS, AtlantaLive Radio, and his world famous podcast. October 2016. > Click here to listen to Marc’s conversation with Professor Joan Buckley on New York’s WHPC FM radio. > Marc’s insightful interview with therapist Lisa Tahir was heard on LA Radio on December 22, 2016. Lisa has a focus in her practice on addiction, which made this interview riveting and informative. Listen here. > Click here to listen to Marc’s interview on the ever-eclectic Kristi Ellen’s Mosaic Radio on Voice of America. > Click here to listen to Marc talk to a global leader in Leadership on Voice of America’s award winning show, Leadership Beyond Borders. > Lianna and Marc spoke to the listeners on 102.3 KXYL on October 9, 2017 about their book and how to deal with peer pressure. > In October 2016 Marc appeared on the Texas powerhouse station KXYL 102.3 to discuss this book on Going Home during drivetime. 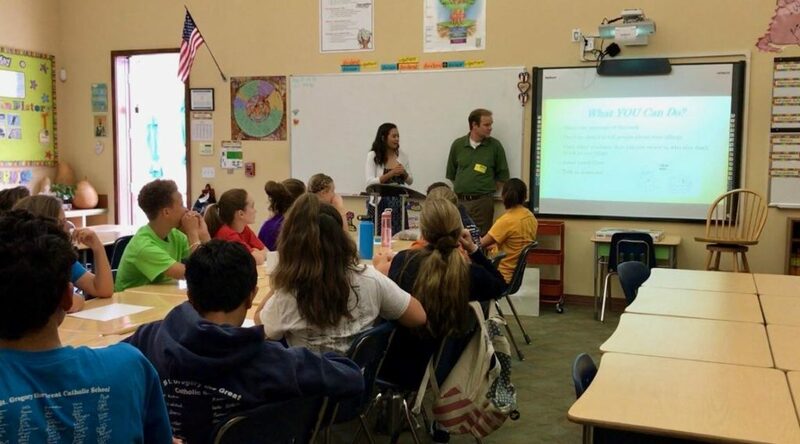 Lianna and Marc speaking at a middle school in 2017 about the bok and dangers addiction.